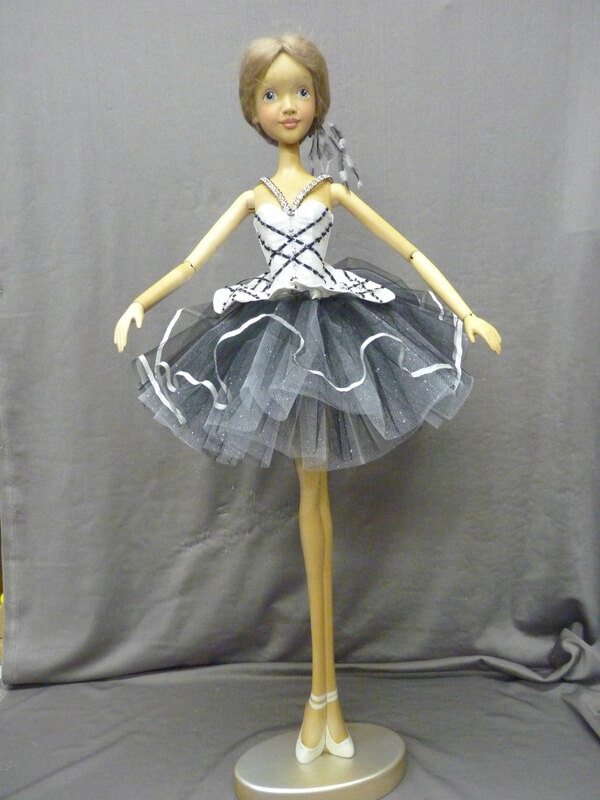 These beautiful 23 inch Ballerinas with an Este look are carved from solid maple, with a ball and spring joint at the neck, shoulders, elbows and wrist for elegant posing. 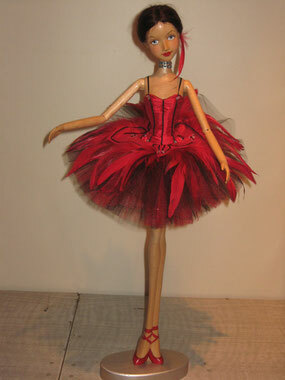 These gorgeous creations have hand painted faces, ballet slippers and soft mohair wigs. 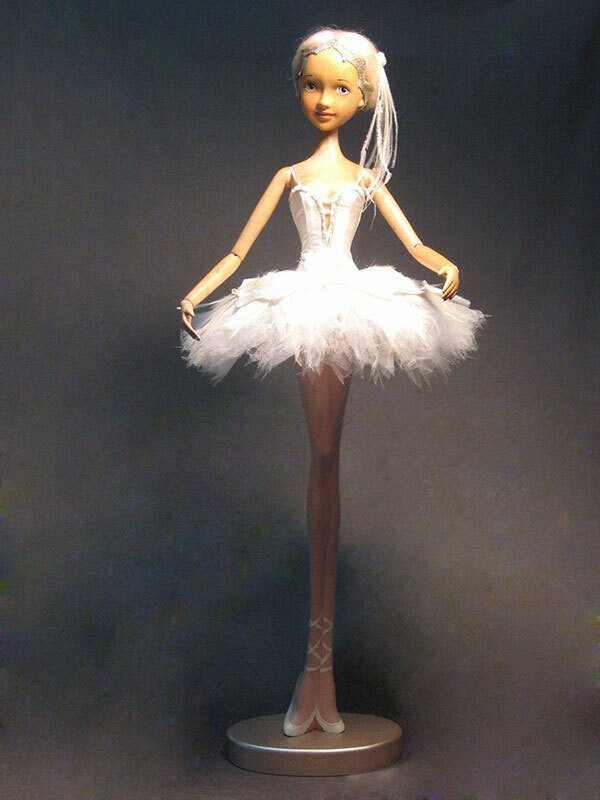 The ballerina outfits are made in house from Dupioni silk with layers of tulle, hand beaded with crystal beads and silk ribbons. 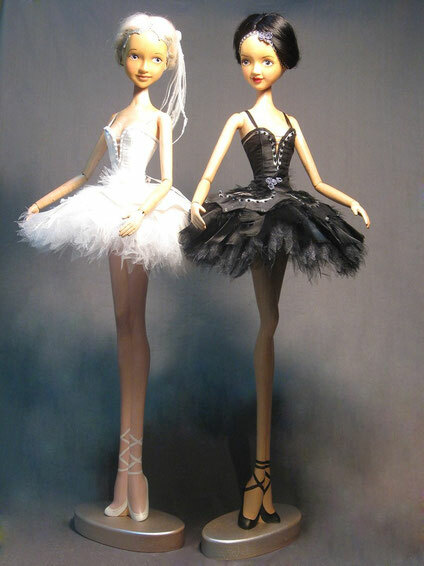 These are truly stunning works of art. 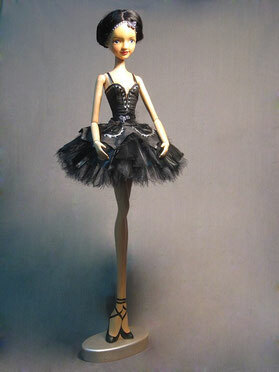 Each ballerina is individually made so they are truly one of a kind.